Bad money habits? Financial guru Alvin Hall shows how to break them, make smarter spending and savings decisions, and glide down the path to economic security. We spend a lot of time examining our personal relationships, but what about the one relationship that may hold the most impact of all—our relationship with money? 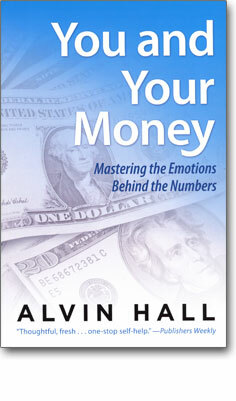 In the groundbreaking You and Your Money, bestselling author and television personality Alvin Hall offers brilliant money management advice grounded in a spectacularly simple concept: our emotions determine our financial success or failure. If you've ever felt confused, guilty, or anxious about your finances, you know instinctively that money is about far more than cold numbers. Hall explores our lifelong relationship with money and discusses the way money becomes embedded in all our other relationships, with parents, children, spouses, and peers. You and Your Money will help you understand your money management style and break those deeply ingrained bad habits. Even more powerfully, it will enable you to balance your financial and emotional lives and free yourself from conflict. Get a free feeling for your money issues and transform your financial life once and for all—for a future richer in every way.